Will you continue to post here or will you move all the blogs to your new site.. The site looks good, btw.. This blog will continue as it has for over 10 years as my blog to post about management improvement. 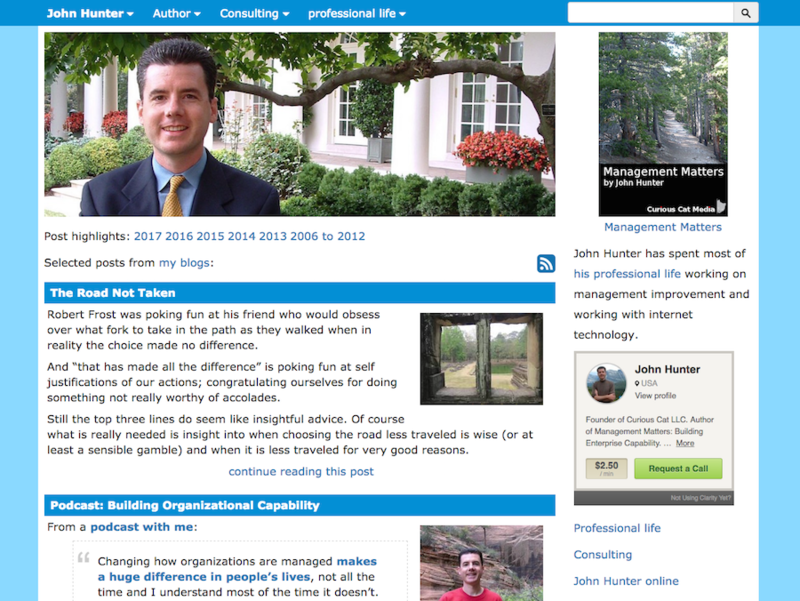 Johnhunter.com lists snippets from this and my other blogs from select posts (I don’t include all posts from every blog on Johnhunter.com).